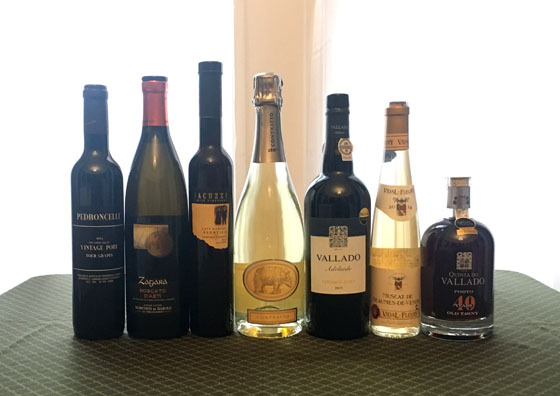 The Fifty Best held a “blind” tasting of 7 dessert wines with 11 members of our wine judging panel. Strict tasting rules were applied. The order of service was established beforehand by lottery. Each of the wines were poured into fresh wine glasses from new sealed bottles and served at slightly above room temperature. Only ice water and white peasant bread were available to cleanse the palate. The tasting notes that follow are summaries of the judges’ opinions, with all replicated commentary eliminated. The appelations are identified for each brand. Prices do not include sales tax. This wine was made from a blend of predominantly Tinta Roriz, Tinta Amarela and Touriga Franca grapes that were aged in large (160 gallon) old oak casks. Aroma: Butterscotch, caramel, honey, burnt lemon, nutty, sherry, whiskey barrel, old wood. Palate: Honey, sticky candy, lemon custard, apples, cider, dried fruit, black raisins, almonds, hazelnuts, nutty, clove. Finish: Prunes, apples, honey, lemon custard, limoncello, cola, clove. Made from 100% hand-picked Aleatico grapes grown in the rich soils of the Serres Ranch, this wine underwent fermentation in temperature-controlled stainless steel tanks over 8 weeks, after which it was aged in neutral French oak barrels for 15 months before bottling. Aroma: Cherry, blackberry, pomegranate, acai berry, blueberry, plum, candy apple, licorice, vegetal, mushroom, thyme, black pepper, earthy. Palate: Apricot, pear, plums, cherry, blueberry, mulberry, currants, prune, concord grape jelly, jammy, lemon pie, orange peel, distinct, unique. Finish: Apricot, cherry, mulberry, concord grape jam, honey, zesty, unique flavor. Made from hand-harvested Muscat grapes grown in a variety of soils. Fermentation using indigenous yeast was stopped to retain sweetness by the addition of pure alcohol. Aging took place on its lees (wasted yeast) over a period of 3 months, with an additional 3 months of bottle aging prior to release. Aroma: Lemon, citrus, sparkling lemon beverage, honeysuckle, rose petal jam, white lily, jasmine, wisteria, white flowers, tangy, muscat all the way. Palate: Apricot, white grapes, white raisins, lemon, sparkling lemon beverage, banana skin, floral, rose petal, rose petal jam. Finish: Apricot, banana, green apples, rose petals, rose petal jam, lasting sweetness, soft, elegant, delicious. This fizzy wine was made from 100% Moscato Bianco grapes grown on a steep hillside. Following gentle pressing, the juice was partially fermented in an autoclave. Aroma: Lemon, light lemon candies, lemon ices, Anjou pear, citrus, lime pith, honeysuckle, typically Asti. Palate: White peach, pear, plum, lychee. lemon, lemon custard, sweet cream, muscovado, clover honey, golden raisins, ginger, white flowers, effervescent, beautiful. Finish: Peach, pear, lemon sugar, honey, honeysuckle, sweetness gives way to lemon, balanced. 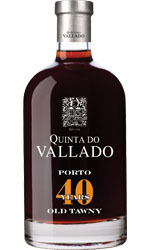 This wine was made using traditional port grapes with a prominence of Touriga Nacional by classic port methods (i.e., stopping fermentation with neutral “spirits” so as to retain sweetness, then aging in large oak casks). Aroma: Red candy apple, dark cherry, orange, prune, almond skins, licorice, black pepper, mineral, oaky. Palate: Cherry, currant, plum, blackberry jam, dark chocolate, anise, pepper, dried bay leaf, ash, smoke, tannic, sweet, very rich. Finish: Ripe cherry, plum, blackberry jam, cinnamon Red Hots, cinnamon, hot spices, woody. Made from a blend of Tinta Madeira, Tinta Cao, Touriga Nacional and Souzao grapes, this wine was fermented over 7 days with the addition of “spirits” which raises the alcohol content to stop fermentation and retain residual sugar in the wine (a process known as fortification). Aging took place in neutral American oak barrels for over three years. Aroma: Cherries, plum, mango, coconut, agave, tequila-like, cola, pepper, strong oak, wood, rich. Palate: Butterscotch, caramel, dark cherry, plum, dates, dried fruit, cherry pie, vanilla, piña colada, cinnamon, spice, pepper, cedar. Finish: Caramel, prunes, apple, bay leaf, mild pepper, sweetness emerges. This sweet sparkling wine was made from 100% Moscato Bianco grapes that were fermented in an autoclave at low temperature over 3 months and then aged in stainless-steel tanks on its lees (wasted yeast) for an additional 24 months prior to release. Aroma: Moscato, sparkling lemon, citrus, pineapple, floral, bread. Palate: Golden apple, peach, pineapple, white grape, lemon sorbet, cotton candy, flowers, sweet, soft, delicate, bubbly, effervescent. Finish: Lemon, grapefruit, pineapple, white raisins, mild clove, sweetness, good balance.